By the way, I found out that CD-R King sells really cheap SDmini cards, 512mb for P780, and 1gig for P1600 but with only 6 months warranty. Just wanna know if someone has already tried them out? 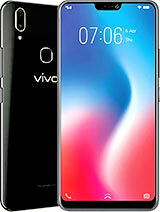 The phone does have bugs, but I think the cheap price and nice features overshadow that. In addition, updates in firmware will improve that anyway... I hope... hehe =) And I just stored over 50 java games in the phone memory and there are no problems at all. got them from www.getjar.com, but I think most of them are demo versions. Is there any way to find out the firmware, other than from the sticker at the back? say for example by entering a code? Just wanna make sure if it's really 177 as stated by versatile, coz the sticker still says 167... and what's the latest firmware version in the Philippines at versatile telecoms? Sorry for not reading all the previous posts and thanks in advance. Hope you have as much fun with the phone as I have. Well, in fact the time stamp is ahead of a real time, that I noticed. Anyone knowing how to fix that? if i updated my firmware,how i know that i updated already?how 2 check is what firmware.Becos i send 2 CSL 2 time liao..
Can you check the time stamp for the SENT MESSAGE details because right now I'm on ver.177 and the SENT MESSAGE time stamp is advanced by 8 hrs. Thanks. No, nothing like that. Or nothing that I'v noticed. Just almost bugless phone. One bug appeared though just now, as it hung just after the call. It did not react to buttons, just the last screen "Call ended, 1:27" ant a stall. I had to remove the battery and fortunately the phone did turn on and working fine. Engineering menu is still nill though, I've started liking to view the exact percentage of power left in a battery. Hey thats great to hear buddy! 183 version huh? nice! Does it feature some other tweaks? Like more languages that are featured with the firmware? Or some other things. 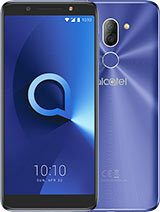 In the past Alcatel sometimes would add extra features to the phone, that it previously did not have. For instance the 701 did not have games and composable ringtones, but after the software update it did, among other things! My phone's just got back from firmware update, now I have the 183 version. I must say, no bugs so far. Of course, those things with blank stadby screen and no bluetooth connectivity remain, but the fact is that the new firmware versions are rather stable. Up to the moment at least. It's really funny and stupid to see how some people can not get the software installed while some others can? I mean... how is that possible... I have the software installed and works fine... no problem at! Also... AGAIN, for the last time: The phone as it is sold now!!! Has not got the functionality to connect to other bluetooth devices (except for bluetooth headsets)! Very early versions of the phone had problems of the phone had some problems with bluetooth where it would not work at all... but that was resolved in the newer ones. Fine phone for the money. Why didn't Alcatel tried the software before shipping it. 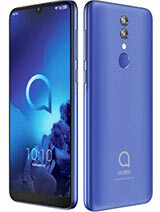 Such a fine phone will have a bad reputation because some people from Alcatel didn't check the end product. Original software and updates don't work. Problems with Bluetooth. Until now no bluetooth connections. I tried the OT-S853 with Bluetooth computers,Sony Ericsson T610, Nokia 6680, Nokia 6600 and earset Jabra 250V. The Other devices can see the OT-S853 but can't connect. The software suite can't be installed as delivered by Alcatel. The driverpath is incorrect. It's better to buy something else with the same features. Maybe you'll pay a little more but I'm sure you'll not find so manny bugs and problems like in the case of this product. mramzi, You can find out your firmware version by opening the rear battery cover, removing the battery and watching at the white label thats mentioning the IMEI number too. On that label there sould be a 3 digit number, something like 1XX (for instance 166). That refers to your firmware version... the current one should be 17X (the last one I heard and saw was 177, and it was much improved). I think this phone is great, but it's still not available in my country, so I'm almost decided to buy Motorola ROKR E2 when it comes. To be more clear: Alcatel is out of this business with TCL. 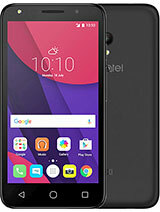 As for myself, I've bought the Alcatel 552 and then renounced to use it and gave it away as a gift, because of the poor quality: low voice sound, frequent restart and so on. Definitely (!!!) 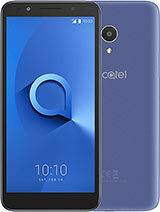 I'm not going to buy another TCL product under the brand of Alcatel, until I'll see only positive feedback. And YES: I'm doing this only because I'm a fan. or a SAMSUNG. Let's be honnest. They have better products. Some of them with few bugs. But not so many as TCL/ALCATEL products. Can anyone compare this to Sony Ericsson K750? 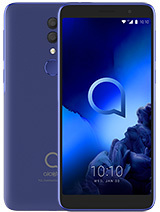 Honestly, I agree with you that Alcatel phones are great and durable when it is not merged with TCL (The Chinese Loser, they say). But now that it merged with TCL (and that TCL owns more than half of its assets as it has 50% plus monetary share of TCL-ALCATEL merger, it has problems. One thing that I have observed is there current web page. Its' not user friendly that it was before. One example is: you can no longer view the phone in 3d. BenQ-Siemens website is giving that thing and sad to say, they're more user friendly than this new site of ALCATEL. Can you tell me how to know the firmware version installed on my S853, cause I don't know & where to find it. 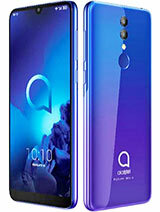 You can get the latest firmware as part of the one year warranty service by Alcatel, go to your local shop where you bought it and ask for the firmware upgrade. As for the bluetooth, for the last and final time... the phone as it is currently does NOT support bluetooth connectivity with other phones, it just supports headset connectivity. If any of you have any other questions feel free to contact me at: un112@msn.com. I shall see if I can help you with your questions. In thailand version can support bluetooth but only voice and don't have data function, Please tell me other country have this function or not?